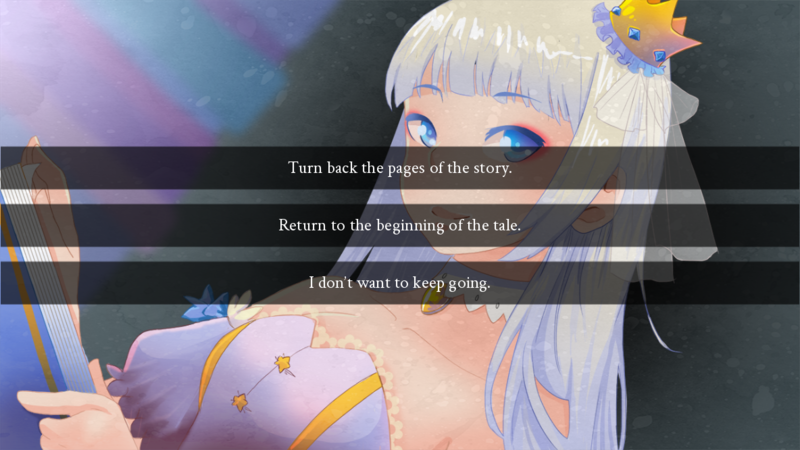 This is a relatively short visual novel (around 40k). It was made for the 2016 YuriJam in one month, and features yuri (GxG) relationships. Extra songs were by the band Hungry Lucy. My Beloved is licensed under BY-NC-SA. Pulse of the Earth is licensed under BY-SA. It's unfortunate that I took so long to see this but I'm glad I did. This story is absolutely precious. I'm grateful that I got to experience it. It was beautifully written and the emotions were so well captured, I really felt for the characters. My heart actually felt heavy once it ended. But I loved every bit of it. Thank you for this gem. I look forward to checking out the rest of your work. It's very nice game with interesting story and beautiful artstyle but it's not a yuri game in typical meaning of it. There totally nothing about dating and desire. It's about the purest kind of love. The biggest possible love feeling. When you love somebody by all your heart. Some kind of soulmate and the most important person in the whole world. Your deepest feelings and your "obsession". It's why this game is unique and beautiful. I really loved the way you set up the narration in this one, with the stories within stories and the intricate use of the engine. It kinda reminded me of what Christine Love also does with Ren'Py. I think it complements your writing style pretty well and I'd love to see you present stories in a similar fashion in the future (although I haven't played all your VNs yet so you might already have done so :x ). i had to sign up on this site so that i could say to you that this is one of the most beautiful stories ive ever experienced. thank u so much for making this. 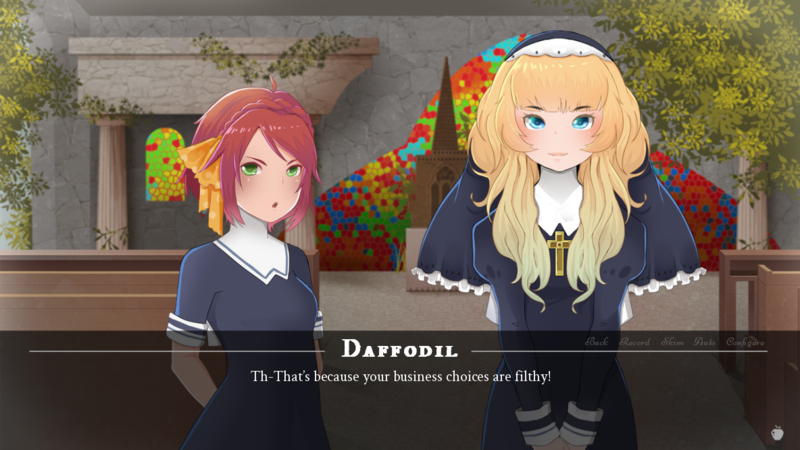 this and strawberry vinegar are my favorite visual novels of all time.....and the funny thing is, i only just found out their both by the same person. 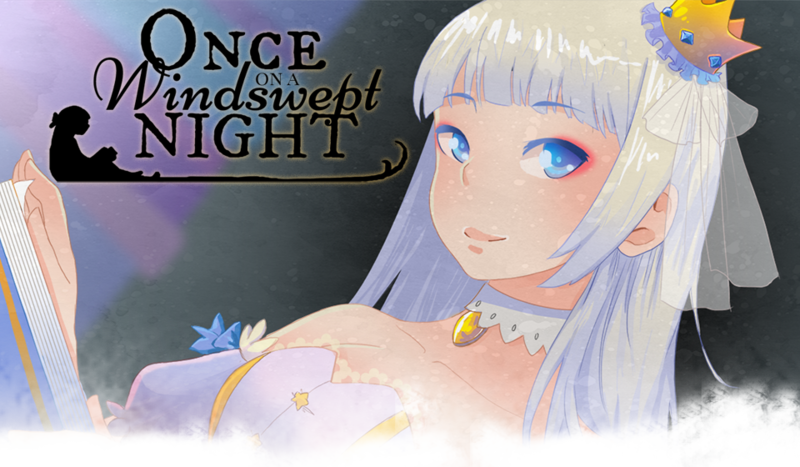 Really enjoyed playing through Once on a windswept night a few times! The art, music and story are amazingly good (also I greatly enjoyed Asphyxia). Thank you for submitting this to the yuri-jam. Bit of a random question but when you give Lycoris your name can she give different responses according to the name or was it just a hilarious coincidence that she made a comment about Wonderland after typing in the name Alice? Also a second question: I know I'm missing stuff since Lycoris has made that pretty clear but how do I get from the story before that to whatever I'm missing? I've gotten the good and bad endings for both Daffodil and Madeleine as well as the bad ending from leaving early. I'm really not sure what choices I could make that I haven't made yet. 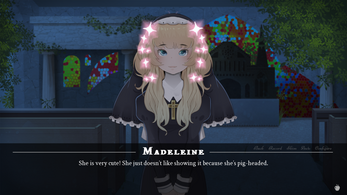 Lycoris made a comment about not lying but I've tried that and it just ended with me back on Madeleine's path again. Oh, is that so? That's a really neat touch. And yes, I'd really appreciate it if you would do that. Unless completing both routes unlocks new choices to make or something (which I haven't noticed after replaying the entire story two more times after completing both their routes) I'm really not certain what to do to advance at this point. Ah, I think I see where I went wrong. 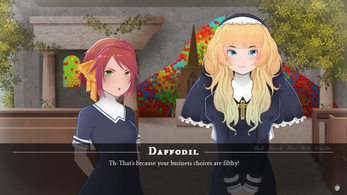 Lycoris makes a comment on one of the bad endings that a good ending can only happen from telling the truth so after that I hadn't told Daffodil that the food was good. I think that's probably why I was having trouble getting it. Thanks! On the line ""Don't lie to me, my number one not-fan. I can tell!" said the poet", the poet should be the dancer. Also for "Wh-why did you make me wait...?" it feels like the name is switched around. I can't finish this :( . It's a shame since it seemed so good at the start. Even though the character in the story is referred to as 'they' it feels so much like i'm playing as a man I can't get into it. It broke the immersion for me. I would really, really recommend you continue on. I promise you won't regret it. This is amazing and so in depth and compelling. Wow! I haven't reached the end of the story yet, but it is quite a beautiful one. have reached the end of the story and it is AMAZING. 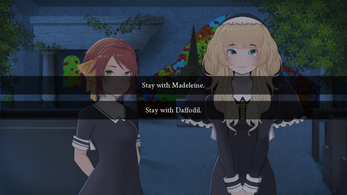 Anyhow, I think I found a glitch regarding one of the choices. So, when the traveller gets to choose between lying to Daffodil and telling the truth, I chose to tell the truth the first time around. The next time, I decided to lie to her, but I got hit by an "An exception has occurred" error. I don't know anything about Ren'Py, so I have no idea what it's saying. I just pressed Ignore and everything seemed to work out alright, but, who knows, maybe it messed up something in the background. LOVE THAT LINK TO YURI GAME JAM 2016 BY THE WAY! Even if it is a joke, I'd say it kind of gives some nice insight into her character.